Charged with a vehicle related violation or crime in Sacramento? You have come to the right place. In Sacramento and surrounding areas, traffic violations including: speeding, street racing, speed contest, exhiibition of speed and reckless driving are considered serious crimes. Many vehicle crimes can me charged as 1. Infraction. 2. Misdemanot or 3. Felony. Vehicle violations can be serious criminal offenses for several reasons. Most traffic violations can put points on your record resulting higher insurance rates. Sometimes prosecutors argue to have your drivers liscence suspended or even permanently removed, which can have a catastrophic effect on your quality of life. 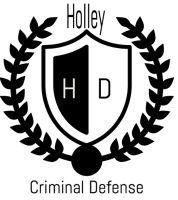 Hiring a skilled and knowledgable criminal defense attorney who is familiar with traffic court is critically impoirant to any person facing driving violations. Since driving violations can have life long consequences, it is imperative to speak with a Sacramento traffic defense atttorney right away to see what your options are before its too late. In order for the defendant to be found guilty of this crime, the prosecution must prove beyond a reasonable doubt two elements. First, the defendant drove a motor vehicle on a highway. Second, while so driving, the defendant willfully engaged in a speed contest. Engaging in a speed contest is a misdemeanor in Sacramento and surrounding areas. The judge shall sentence you twenty-four hours to ninety days in county jail. In addition, the court may fine you an amount between $355 and $1,000 in court fines or the court can fine and incarcerate you. You shall also be required to complete forty hours of community service. There are also mandatory court fees, independent from court fines, associated with this charge. The court may, at the judge’s discretion, suspend your driving privileges from ninety days to six months. You would also likely receive two points on your DMV driving record. If you have been charged with engaging in a speed contest in Sacramento or a surrounding area is important that you consult with knowledge and skilled criminal defense lawyer to help protect yourself against a conviction. Possible defenses include: you were not speeding, you were not engaged in racing, you were not driving, you were engaged in an emergency, and several other possible defenses. *This webpage is under construction as we update the information on this page with the with the current vehicle code updates.